CANDIDATES of four political parties in Ondo State yesterday protested to the state Independent National Electoral Commission, INEC, demanding the cancellation of Saturday House of Assembly election in Ondo East and Ondo West council area of the state. The candidates’ alleged intimidation, bribing of electorate and act of brigandage by the ruling All Progressives Congress, APC, and Zenith Labour Party, ZLP. The candidates Maxwell Adeyosoye, Bisola Oladapo and Taye Oladunjoye of Peoples Democratic Party, PDP, African Democratic Congress, ADC,, African Alliance Congress, AAC, and the Abundant Nigeria Renewal Party, ANRP. 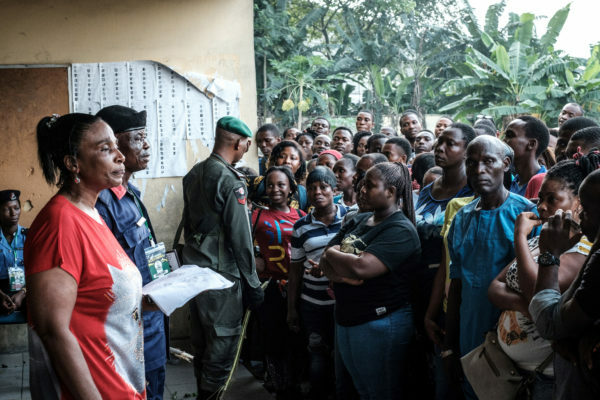 Alongside their supporters, they stormed INEC office and demanded the cancellation of the results declared in the three constituencies in the two council areas of the state. The names of the candidates and their political parties are PDP – Abiola Oladapo, AAC- Kunle Akintan, ADC- Taye Oladunjoye, ANRP – Dele Ogunrinde. Led by a former commissioner and PDP leader in the Ondo Kingdom, Chief Segun Adegoke, and the Minority Leader in the state House of Assembly, Dayo Akinsoyinu, the protesters armed with placards with different inscriptions, blocked the entrance to the INEC office in Alagbaka area of Akure, the state capital. The protesters who came in 18 buses disrupted the free flow of traffic and demanded to see the Resident Electoral Commissioner, REC,Dr Rufus Akeju to submit their petitions to him. Addressing newsmen, Adegoke alleged that Governor Rotimi Akeredolu, connived with ZLP to manipulate the election results in the two council areas in favour of the candidates of APC and ZLP. The protesters threatened to challenge the outcome of the election in the law court if INEC refuses to cancel the election results. Reacting, the state Chairman, ZLP, Wale Gbakinro said “the ZLP was in no way connected to the said allegations being maliciously peddled around in the media. We are a peace-loving political party that was founded on social democratic ethos.